My dogs eat an exceptionally healthy diet, that's no secret. I put a great deal of thought and effort into what goes into their mouths and bodies. I formulate, calculate, and think about what I feed them. 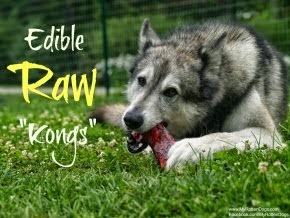 Fortunately, we have a pretty good raw feeding regimen, and its not too difficult at all anymore for me. 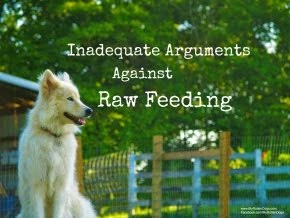 I am a member of a few Facebook raw feeding groups. Every once in a while someone will post that their dogs are eating an incredibly healthy, organic, raw meal while they are eating fast food or ramen for dinner. What gives? I try to be mindful of what I put in my body as much as I am about what I feed my dogs. I want to be healthy and well for them and the other important things in my life, and I have to be able to keep up with them! I can say with honesty that I don't follow a strict or particular diet. I try to eat intuitively, as our bodies tend to know what we need. While I try to be mindful, I refuse to deprive myself, and do allow myself splurges. It's about moderation and balance. Full fat dairy. Cottage cheese, greek yogurt, cheese, half and half/heavy cream. I also usually have at least one container of unsweetened vanilla almond milk. Veggies. At any given time, my crisper drawers and the rest of my fridge are overflowing with veggies. Currently I have kale, collard greens, avocados, carrots, tomatoes, red peppers, celery, baby greens, spinach, cauliflower and broccoli. I always have onions and garlic on hand as well. Protein. I eat meat. Chicken thighs, both boneless bone-in. Drumsticks. Breast tenderloins. I currently have bison steaks and ground turkey in my fridge as well. Jerky. I am in love with Epic jerky bars. The bison, bacon, and cranberry ones are amazing. Nuts/seeds. I currently have almonds, walnuts, Brazil nuts,sunflower seeds, and macadamia nuts. Eggs. I have chickens, so I always have eggs. Fruit. My faves are apples, blueberries, blackberries, and pineapple. Sweet potatoes, red and purple potatoes, quinoa, rice, lentils, beans. Gluten-free pasta made from rice, black beans and lentils. Pouches/cans of tuna and sardines. Omega 3's and protein! Butter. Both salted and unsalted. No margarine in my house. I have a jar of duck fat. It's divine. Honey, maple syrup, brown sugar, white sugar. I do like the sweet stuff on occasion. Jars of sauces/condiments. Pasta sauce, pesto, a few cans of soup. Vinegars and oils. Olive oil, avocado oil, walnut oil. Coconut butter. ACV, balsamic vinegar, red wine vinegar. Bone broth. I make batches for myself and the dogs. Wine and beer. For both cooking and drinking. I try to eat mostly whole food items, and prepare many of my meals myself. I am on the road for work, and 95% of the time, I pack a small cooler with my snacks and lunch. I recently purchased a food thermos, and it has completely changed my lunch game! I can now enjoy hot soups and other delicious, healthy leftovers for lunch. Breakfast - cottage cheese with tomatoes. Eggs cooked in various methods. I love sunny side up eggs over greens. Oatmeal with peanut butter protein powder mixed in, with walnuts and blueberries. Plain greek yogurt mixed with protein powder, with berries. Sweet potato toast, topped with eggs, nut butter, avocado, etc. Protein pancakes, recipe to follow. I have recently been introduced to breakfast smoothies, and I am digging them - kale, frozen blueberries, protein powder, greek yogurt, walnuts, almond milk, all blended until smooth. Lunch - as I mentioned, I pack my lunch. Some days the protein is a pouch of tuna or a can of sardines. Hot and cold leftover meat. Wraps made with collard greens. If you haven't tried collard green wraps, you should. I usually also have some berries, nuts, greek yogurt. Other frequent fliers include cottage cheese, regular cheese, marinated beans from the olive bar, olives, apples, sliced veggies. Dinner - I mix it up. I have a ton of clean, relatively easy, healthy recipes that I love. I focus on protein and veggies with my dinner, but do love my starches on occasion. I try to eat seasonally, and source locally when I can. Sometimes I grill fish, chicken or steak. Sometimes it's fish, chicken, or pork in the oven. Sometimes homemade soups, pasta, salads. As I mentioned, I love Quest Peanut Butter Protein Powder. It's versatile. It's delicious mixed with almond milk, mixed with plain yogurt, or mixed with oatmeal. Some people bake with it. I like to use it to make protein pancakes. In a pourable cup or bowl, whisk together two eggs with one scoop of protein powder. It should end up being the consistency of pancake batter. If it's too thick, add a splash of water. If it's too thin, add more protein powder, a sprinkle at a time. Pour into skillet. This makes three decent sized pancakes. They burn easily, so do not leave them unattended. (speaking from experience.) They are delicious as is, but can be topped with butter, nut butter, or maple syrup. For three pancakes - 260 kcal, 35 grams protein, 1 gram carbs, 10 grams fat. These foods help to fuel me through my days. 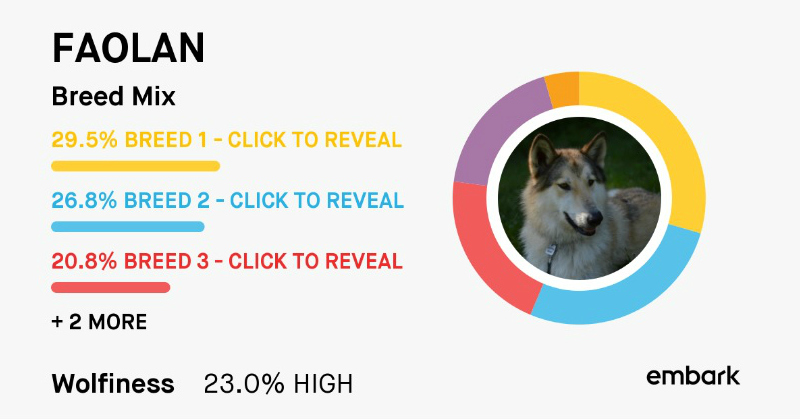 By eating mostly healthy, I am able to be productive, energetic, and care for my dogs and myself. I really don't understand the whole "this is organic/non-gmo/farm fresh and here's my McDonalds". My dogs eat healthy, and so do I.
I firmly believe that a healthy diet is the way to go. In the last two years I've really been fiddling with what I eat, and it's amazing to see how cutting crap out and being healthier has fixed issues I've had (bad skin, migraines, ect). We like to eat healthy too (although we do cheat once in a while...). The hubs is always on the look out for tasty protein powders. Going to look for that PB kind and try the pancakes!